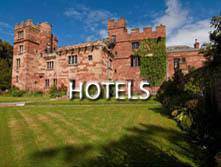 The widest choice of Lake District accommodation. Browse and book your holiday or short break from a huge selection of traditional and alternative places to stay in the Lake District and Cumbria. Country House Hotels : set in glorious landscape, some with lake frontage, all with stunning views. Luxury Spa Hotels : relax and be pampered, all with indoor heated pools and spa facilities. Family Friendly Hotels : hotels that go the extra mile to make your family welcome. Pet Friendly Hotels : Lake District accommodation offering a genuine welcome to your pet, all with great walks from the door. 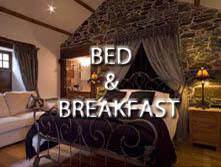 Luxury Boutique B&Bs : beautiful bed and breakfast and guest houses in the Lakes. B&B Farm Stays : tranquil and traditional places to stay in the Lake District. Town Centre B&Bs with Parking : free private parking within easy walking distance of the centres. Pet Friendly B&Bs : Lake District bed and breakfast for you and your pet. Family Friendly B&Bs : with family rooms and child friendly management. B&B at a Lakeland Inn : set in walkers’ paradise with great beer and food. Pet Friendly Holiday Cottages : beautiful Lake District cottages welcoming your pet. Holiday Cottages with Hot Tubs : laugh in the face of Lakeland’s weather & enjoy something special. Romantic Cottages for Two : perfect Lake District cottages for couples. 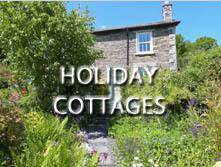 Family Holiday Cottages : for your perfect family holiday or short break in the Lakes. Wheelchair Accessible Cottages : thoughtfully designed cottages in beautiful locations. Self Catering for Groups : for large family gathering or special occasions with friends. Including the new 2019 Windermere accommodation price guide. Windermere Hotels and B&B : serviced accommodation around England’s largest natural lake. Windermere Cottages : search individual cottages and see which cottage agencies specialise in the South Lakes area. Lodges around Windermere : including lodges with hot tubs and on the lake side. Glamping around Windermere : introducing YHA tipis as well as individual specialist glamping providers. South Lakes Hostels : YHA and independent hostels in Windermere, Coniston, Hawkshead, Ambleside & Grasmere. Campsites near Windermere : in some of the very best locations in the Lake District.